As the hands on the clock turn to bring about a new year, people all over the world are celebrating the passing of the old into the new. Resolutions will be made and broken. Hopes and dreams for the future will be shaped. Mistakes of the past will be forgotten. New memories are waiting to be made. The New Year is the time when everyone can begin their lives anew with hopes for a bright and prosperous future. The optimism that the arrival of a new year brings is an inspiration to all – and our New Year wishing cards express said optimism. 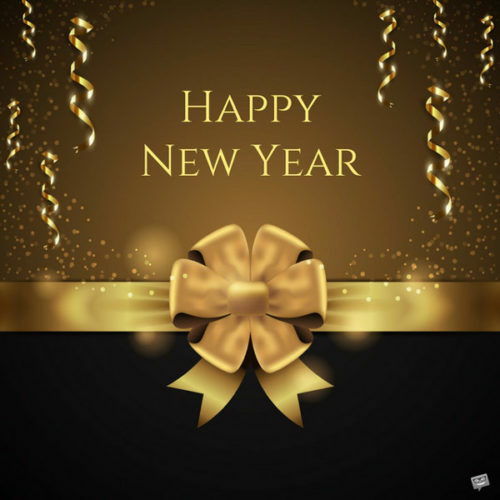 With the help of good will – and, often, good luck – this can be another great year! Your life is a canvas and you are the artist. Show your brilliant colors in this coming New Year! Like a seed in a new spring garden, your new season has begun. Bountiful harvests are awaiting you in this New Year! Today try to forget the worries of your past, if you are having trouble forgetting, then down another glass. Open your eyes to the light of a new day, a New Year, a new chance to achieve your every wish and desire. As you approach this New Year, try and see life as through the eyes of a child. A time when nothing seemed impossible, fear did not exist, and learning occurred every day. Love was not earned but given freely, emotions were worn on the sleeve and happiness existed from the tiniest of accomplishments. May life’s blessings rain down upon you. May every sunrise you witness be a reminder of your ability to rise out of the darkness and spread light and warmth into the world in this coming year. As a child I was always so nervous and excited to see a teacher wipe the blackboard clean and begin fresh new ideas and learning. This is what the New Year brings for us as well. A chance to wipe the past away and begin a new year of excitement and learning. Remember the good times, forget the bad times and look forward to the new memories this New Year will bring. Even though there are lessons to be learned from the past if you are constantly looking over your shoulder to learn from past events you will miss the opportunities and lessons to be learned that are only a few steps ahead of you. Here’s to looking forward in this New Year. Take your failures from the past year and use them to build a strong foundation for the accomplishments you will achieve this year. Do not fear the winds of change. Instead lift your sails and let the winds take you where they may. There’s an old Spanish tradition of eating twelve grapes on New Years for each strike of the clock at midnight in order to bring prosperity. Let’s make the tradition better by changing those twelve grapes into twelve glasses of wine. Through many miles, smiles, tears, wishes and dreams you have been my truest friend. I wish you and your family the happiest of New Years. Eyes shining brightly toward the future, hopes awaken and dreams come into view, looking forward to spending this New Year with you! Light the candles and pour the champagne, bring in the New Year with expectation and celebration. Dearest one, Happy New Year. May you look forward with joy and overcome each challenge you face. Happy New Year to a pretty spectacular person! Hello! Hola! Howdy! Happy New Year to someone who likes to get rowdy! Go big, shoot for the stars, this New Year, you can have it all! We’re not glancing back, we’re only striving forward, and making the most of every single day that goes by. Happy New Year and may each day be filled with joy and sunshine. Happy New Year, I hope this year brings you peace, security and unlimited possibilities! I pray this brand New Year brings you joy, peace and a full understanding of who you are in God. You have so much to look forward to and so many possibilities ahead of you! Happy New Year to an awesome best friend who has been by my side through difficult times and through the best of moments! Don’t look back at the past, for the future now holds wonderful opportunities for you! 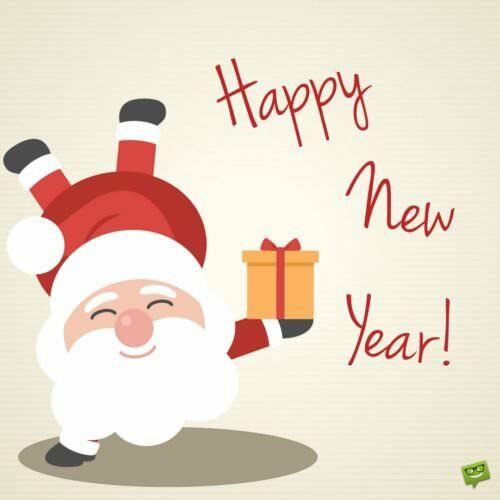 Celebrate and enjoy the day, and the entire year! There is no better time to move forward in life than New Year’s Day. Happy New Year and may every day be special for you. To my best friend, I hope your dreams come true and that you have a spectacular holiday as you bring in this exciting New Year! We’ve come a long way together and I’m looking forward to spending this New Year with you! There’s no time better than a New Year to open our eyes to new excitements the world holds for us. I’m wishing you the very best this world has to offer you. Happy New Year to someone very special. Near and dear, no matter how far apart we may be, Happy New Year to you, from me! God bless you on this new journey and this New Year. Live life abundantly and to the maximum potential. We’re here to support you in all the new things you take on. From now ‘til the next 365 days, may we celebrate along the way! Happy New Year, beloved. No matter what has happened before, life can be different from now ‘til evermore. Happy New Year. It’s a new beginning and a clean slate. May joy and exuberance greet you as you bring in this darling new year. Happy New Year, sweet friend. To a loved one I could not imagine life without. 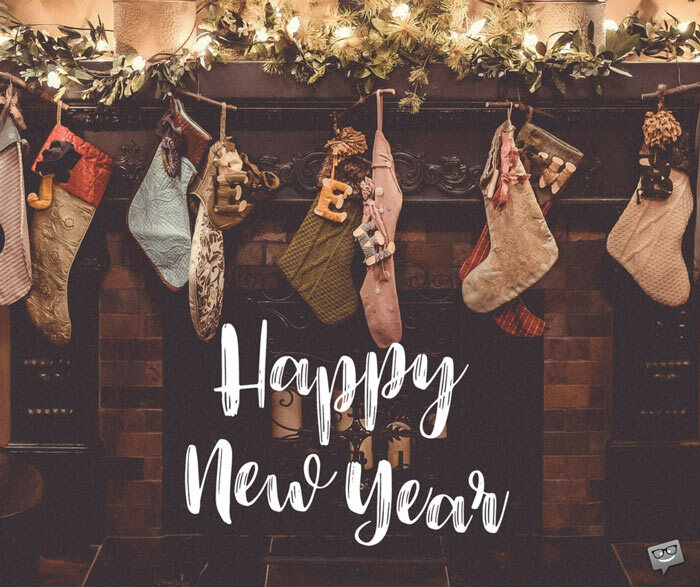 May your New Year bring you special moments and precious memories. I wish you, your friends and family the best possible New Year. May it be a time of health, love and human solidarity. May the coming year bless you with wisdom and knowledge to climb to the highest pinnacle of success. Happy New Year, dearest friend. As we embark on our journey into the New Year, may you be cocooned in the love of the Creator. May He be your companion throughout your mortal existence. Enjoy every moment of this New Year. As you prepare to log into the coming year, may you be blessed with incomparable strength to override all the struggles that may come your way. May this magical and colorful New Year make you as strong as an eagle to be able to fly over every failure and disappointment that comes your way. As you finally bid this year goodbye, it is my wish that you would never know nor see any disappointment in your life in the coming year. Have a sunny New Year. I will change so many things this New Year, but one thing I will never change is our wonderful friendship. Thank you for being a phenomenal friend to me. Wishing you a New Year that is as wonderful as the magic of our friendship. Thank you for being my source of happiness. I am what I am today because I was blessed with the world’s most wonderful parents. Happy New Year, my dearest parents. I feel like God’s most blessed creation because I have parents like you in my life. It is my wish that all your dreams will start materializing this year. My sweet parents, may this year be filled with oceans of joy and laughter to last you through your stay on this planet. Have a truly prosperous New Year! It is my wish that the Lord will confer upon you strength and good health so that you can enjoy all the blessings that this year comes with. Have a wonderful and exciting New Year. 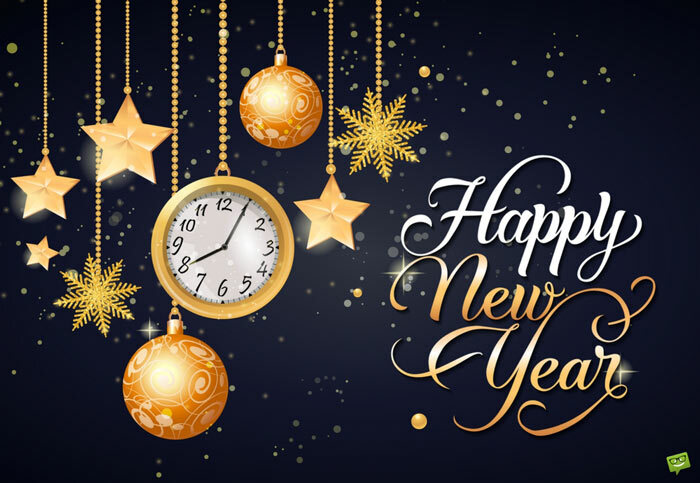 As you cheerfully prepare to meet the New Year, I wish that special blessings of joy, happiness and laughter will be invoked upon your lives now and forever. You are deserving of every blessing from above for the many sacrifices you have made just to put a smile on my face. May this New Year bring you nothing but good health and happiness. To my wonderful parents, may you have a spectacular New Year that is full of happiness and prosperity. May this New Year bless your lives with an abundance of good health and happiness. I wish you a long life saturated with love and extraordinary strength. 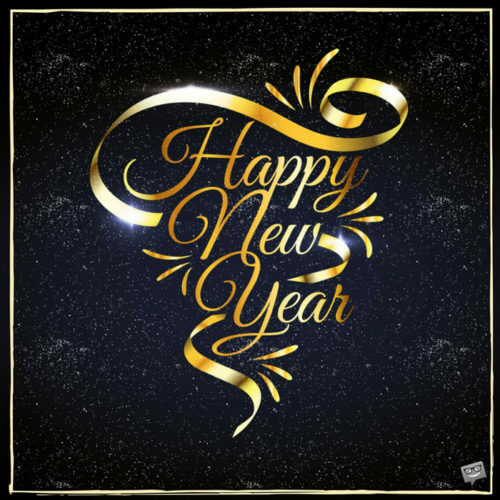 Have a blessed New Year! I am elated to commence this New Year with you, my sweet sister. I wish you great favor and luck in every endeavor of your life. May your New Year be as beautiful as your life is to me. I have never regretted being your sibling because you always make me feel wonderful. My wish for you this New Year is that you will walk in gardens of successes and happiness. I wish you a New Year filled with unlimited grace, love, prosperity and all the happiness that exists in all the four corners of the world. 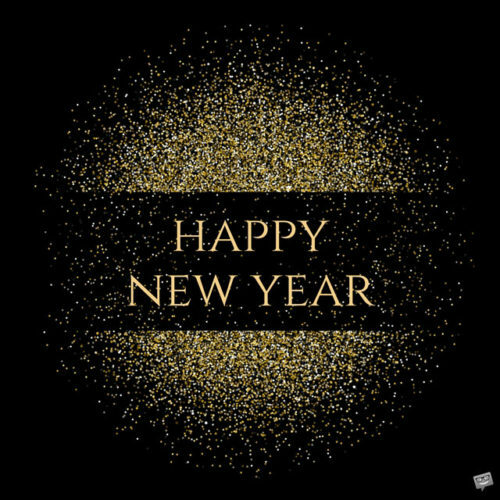 As we say hello to this New Year and say goodbye to the old, I wish you will be guided by the stars to countless opportunities and blessings that will make you as rich as a gold mine. 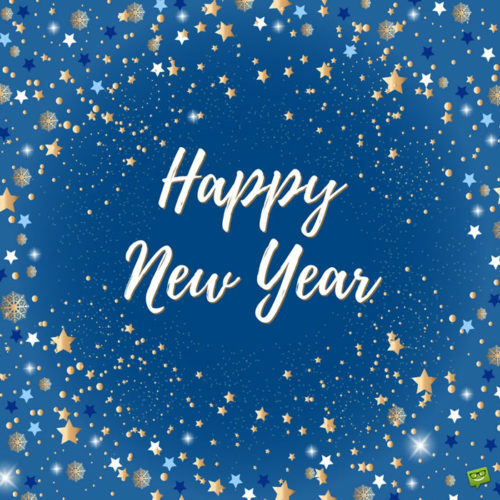 It is my wish that you will be inspired by the spirit of optimism to be able to accomplish all the goals you have set for your life this year. 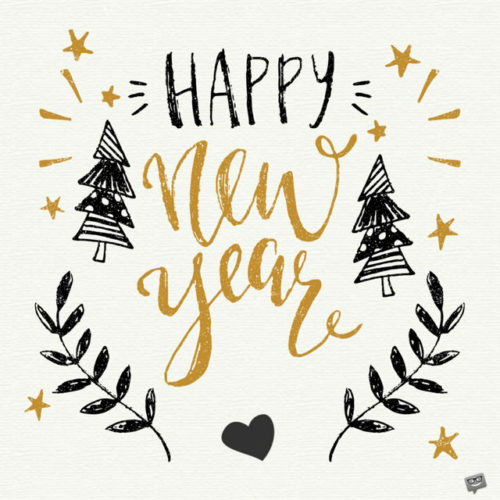 Have a fabulously prosperous New Year. It is my wish that the birth of the New Year will bring to your home joy, prosperity and peace. Happy New Year, my beloved sister. May each blessed day of your New Year be filled with joy and contentment. Beginning from the first day of this coming year, it is my wish that every step you take will lead you to a land that overflows with milk and honey. Have a truly blessed New Year. May your determination and zeal for success remain unshaken no matter the struggles you face in the coming year. Have a joyous New Year. I wish you a wonderfully happy journey throughout the New Year. God bless you, my dear brother. May the love and light of God be your constant companions throughout the year. It is my wish that this New Year that we usher will mark the genesis of the success you have been dreaming of ever since you were born. Have a blissful New Year. On this New Year’s Eve, may God’s amazing light forever shine on the path on which you tread. Have a joyous New Year. May this New Year be brighter, happier and more successful than the previous year. May every star in the New Year shine in your world and make it brighter than the sun. May your heart always swim in the oceans of joy throughout this New Year. Have a prosperous and absolutely healthy New Year. Wishing you a New Year that is as bright as a billion diamonds in space. 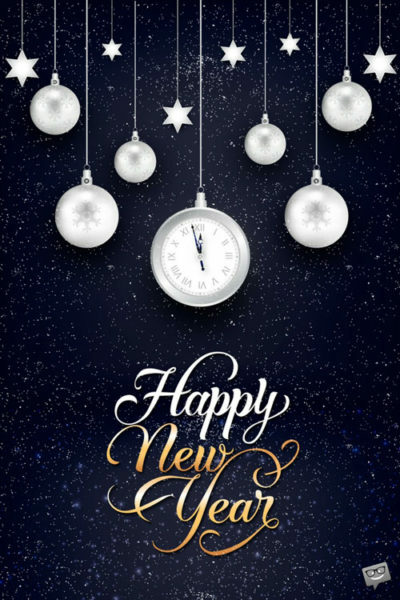 Have a wonderful and prosperous New Year! It is my hope that every blessing that belongs to you will find its way to your doorstep. May your New Year be filled with countless miracles and good luck. God bless you. As you prepare anxiously for the coming year, it is my wish that it brings you peace, happiness and great fortune. Have a blessed New Year. May this year bless you and your loved ones with strength and peace. 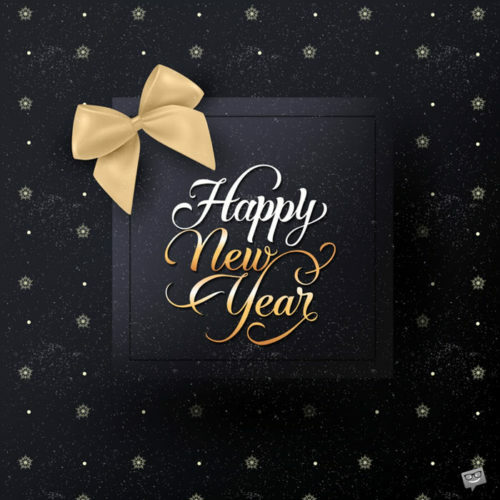 It is my hope that each day of the coming year will serve you with happiness and success. May this New Year make your world glitter and sparkle with pleasant surprises. As you begin this amazing year, it is my sincere wish that your life will be blessed beyond belief. May this year bring you countless successful periods. I wish you a very successful and Happy New Year filled with endless blessings. 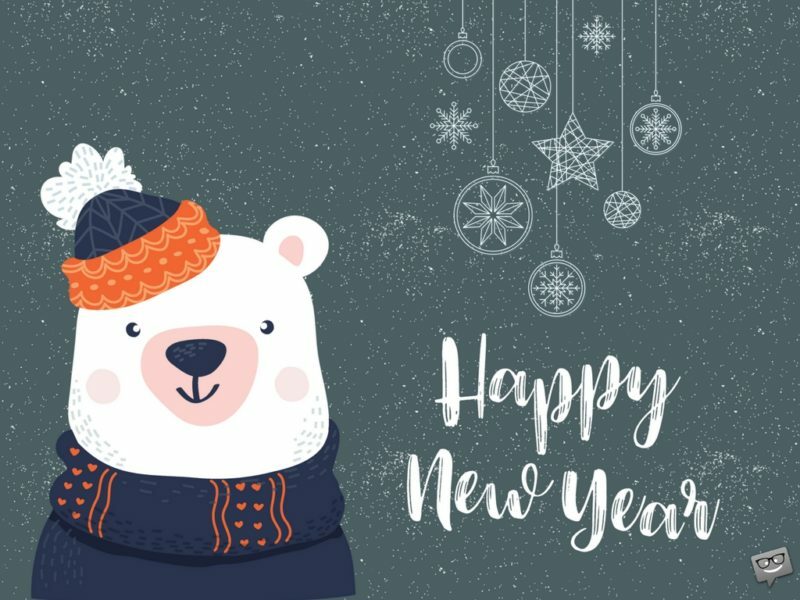 A festive collection of New Year images to post and share.